Product code: R397 Categories: Sold Items, Sold Jewellery. So elegant and refined comes this charming antique diamond and pearl brooch from the Victorian era of the 1870’s. Wonderful to consider that it is over 140 years old yet still looks so attractive. Hand made in 15ct gold and sterling silver, this combination of gold and silver was used as white gold was not yet invented until the early 1900’s and platinum was not used in jewellery until around 1910 and it was known that setting a diamond in gold will reflect the colour into the diamond so silver was used to prevent this. The brooch is set with 8 gorgeous rose cut diamonds and 7 natural pearls in a charming crescent shape. 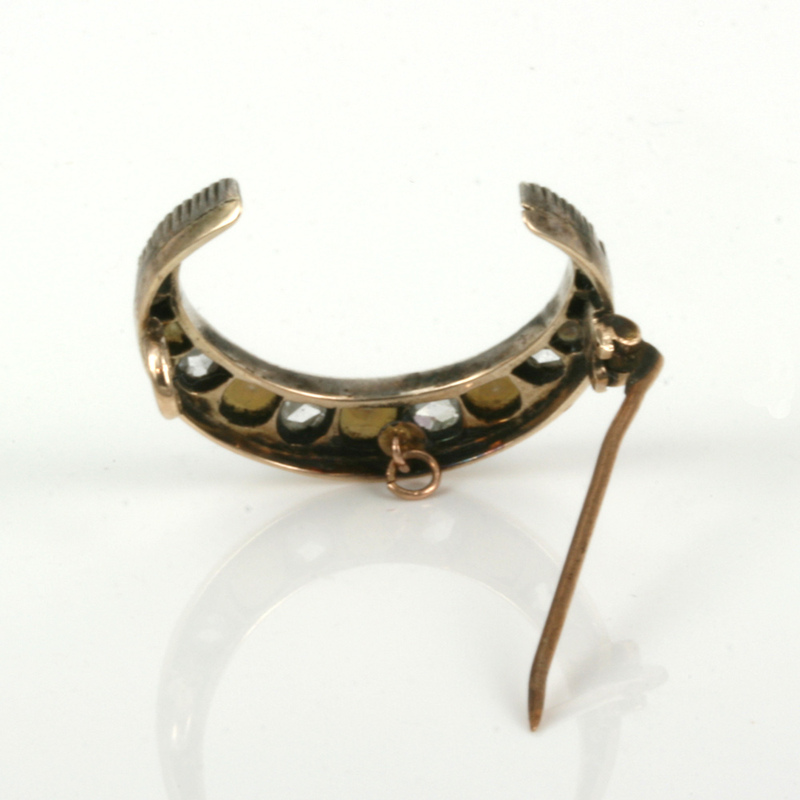 Measuring 25.1mm across by 21.8mm this antique brooch will look so attractive on a black background day or night. Antique brooches have such charm and character to them, and this rose cut diamond and pearl brooch is certainly no exception to this.